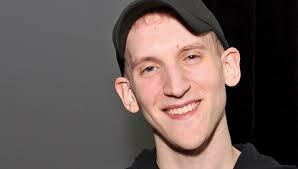 Run It Up has been a spectacular success for Jason Somerville, as his poker streams continue to attract big crowds on Twitch. But there may never have been a night as exciting for his viewers than Monday, when Somerville made a run all the way to the final table of a World Championship of Online Poker (WCOOP) event, drawing his largest audience ever. For those unfamiliar with WCOOP, it is the largest and most prestigious online poker tournament series in the world, offering bracelets to winners and $45 million in guaranteed prize pools. Since WCOOP is hosted by PokerStars, and Somerville is now a sponsored PokerStars pro, it was only natural that the festival would become a major part of the Run It Up schedule in September. Somerville’s biggest audiences have always been reserved for deep runs in tournaments where he’s had the chance to make a significant cash, and WCOOP promised to offer plenty of potential in that regard. That potential was turned into reality on Monday, when he entered the $700 buy-in Progressive Super-Knockout event. At the end of the Labor Day weekend, Monday was already a night likely to attract a larger-than-average crowd on the Run It Up stream. But it was Somerville’s long run in the tournament that truly caused the audience numbers to swell, as he accumulated chips and worked his way towards a WCOOP final table. Sure enough, “jcarverpoker” made an appearance at the final table, and at one point, even had the biggest stack remaining. But things didn’t ultimately go Somerville’s way: after losing a lot of chips on a hand he later felt he had misplayed, Somerville would go out in sixth place. Still, the tournament was a successful one: Somerville won $22,673 for sixth place, while collecting nearly $16,000 in bounties throughout the tournament as well. Perhaps even more impressively, Somerville had more than 37,000 viewers watching him at the final table, by far the most he has ever attracted to his stream. After the tournament, Somerville took hours to try and read and reply to messages on Twitter, telling fans that he hoped there would be more deep runs before WCOOP ended. 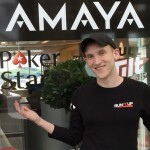 Sure enough, it took just one more night for the Long Island-native (who plays from Canada for his streams, as PokerStars is not accessible in the United States) to once again built a sizable audience for another tournament run. Tuesday night’s audience was only around half as big as the one Monday: Somerville was playing a Limit Hold’em event, and he didn’t quite make another final table. But his 23rd place finish did earn him another $768.60, and put him in the top 20 in the WCOOP Player of the Year standings. Somerville was back in action on Wednesday to play in WCOOP Event #13 (a heads-up tournament), and plans to continue streaming throughout WCOOP, playing as many events as possible. The only tournament he has expressed some reluctance to play in is the $51,000 Super High Roller, though he has not ruled it out yet. While Americans are out of luck when it comes to playing in WCOOP events (or any other real money poker on PokerStars), fans of Somerville can take part in the Run it Up Reno live event taking place in late October at the Peppermill Resort Casino. With daily fantasy sports also available in the United States, Somerville has set up a partnership with DraftKings that has included some tournaments that will earn players prize pages including airfare and hotel accommodations for the Reno series.